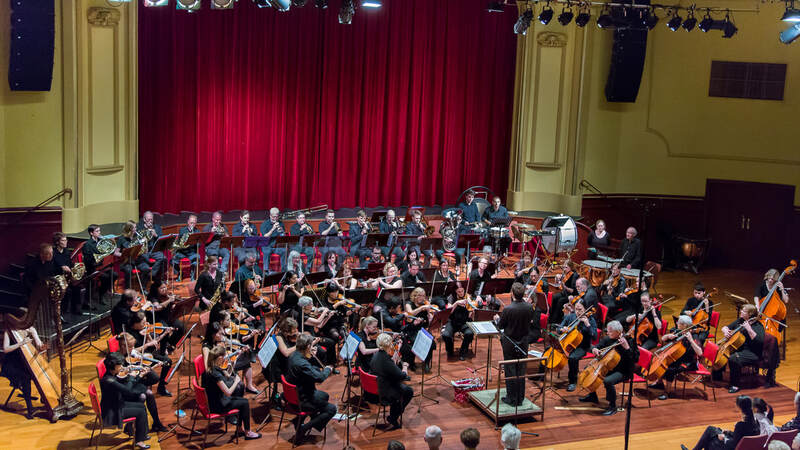 ​The Norwood Symphony Orchestra was founded in 1923 as the Unley Orchestral Society by its first conductor, Norman Sellick, L.A.B., a prominent violin teacher in the Unley area. His objective was to provide his students and other members of the community with the chance to develop their orchestral playing skills, which is still one of the orchestra's aims today. The orchestra gave performances as the Unley City Orchestra. The Unley Council provided the Banqueting Room of the Unley City Hall for orchestral rehearsals, a storage area for the orchestra's equipment and also a small subsidy. ​The Orchestra is now officially named The Norwood Symphony Orchestral Society Inc but is more commonly known as The Norwood Symphony Orchestraand is based at the Norwood Town Hall. The Orchestra presents four concerts in the Norwood Concert Hall each year with additional concerts given at various other venues. The orchestra has been conducted over the years by a number of distinguished musicians, including W. Nelson Burton, Gabor Reeves, Harold Fairhurst, Joannes Roose, Richard Hornung, Thomas Lambert, M.V.O., Verdon Williams, A.M., Kenneth Clarke, Sam Bor and David Reid.